"Before Kim, I was super morbidly obese, housebound, a Type II diabetic on 110 units of insulin per day, with an A1C over 8, couldn't climb a single flight of stairs, and had severe sciatica to the point of having to live on pain killers just to be able to move at all. In other words, I had no life. We started out slowly and gradually with strength and resistance training. Kim's knowledge, experience and expertise with the issues of non-perfect bodies enabled me to trust her completely. With Kim's sure and steady encouragement and ever evolving workout program customized to my needs and limitations, I was able to reduce my insulin to 75 units per day, drop my A1C to 5.9, and improve my core strength to the point where I could start moving again - with much less pain. But still my life was severely limited.So it was time for my partnership in health with Kim to move to a new level. I made the decision to have R-N-Y Laparoscopic Gastric Bypass Surgery. I was home from the hospital in only 2 days, pain free and had zero surgical complications. There are two equal reasons why I had such smooth sailing for my surgery. One, was the fantastic surgeon I had - Dr. Jeffrey Hunter of Virginia Mason Hospital. The other reason was my drastically improved health and strength pre-op which was directly due to my personal training with Kim. My post-op weight loss success and health improvements are also a result of my continued personal training with Kim. I no longer take any insulin at all, my A1C number is 5.7, my other meds have been drastically reduced, and I no longer need a handicap sticker for my car!! Needless to say, the quality of my life has been transformed. And Kim has been there with me every step of the way -- adjusting my program at every step to match my body's new capabilities. Her ability to read the body, no matter what state it is in, was especially critical to my being able to start exercising safely again at only 3 weeks post-op. Kim has been able to help me accomplish this transformation because she has extensive knowledge of the human body -- in all its forms, abilities and limitations. And continues to expand her knowledge base at all times. Kim chooses the type and level of exercise according to what is appropriate for the individual. And she maintains detailed records. This enables her to continuously vary the routine to fit the client's ever evolving needs and goals. In addition to the depth and breadth of expertise that Kim brings as a personal trainer, she also listens, explains, encourages and is kind. Even on the days you might not feel like exercising, you will still look forward to your time spent with Kim. Kim is the best gift I have ever given myself." "I have had the pleasure of working with Kim for 10 plus years. I was a complete novice when I began a twice weekly workout program. My body awareness, strength and balance have improved tremendously over this time. I really enjoy what I have learned about how to use my body in all sorts of activities without injury. Now in my 70’s, I can maintain an active life that includes the gardening and hiking I love. Kim is a seasoned professional. She provides a customized written program that is updated every six weeks. The program is always adapted to my current circumstances and goals. When I train with Kim, I learn to do the exercises correctly, thus maximizing gain and minimizing injuries. I don’t always want to show up for my workout, but I’m always glad that I did!" "I came into see Kim because I was having trouble getting up off the floor and I wanted to find ways to include more strength training in my life. The programs that Kim developed have really helped. I've been amazed at the weight I can now lift, without a problem. In addition, I've found that I've been inspired to do the programs, on my own, at home. She has developed programs that work in my harried schedule and around my specific needs. Kim is patient and knowledgeable. I've been amazed at how much I've learned about doing exercise in the correct way (no wonder I kept hurting myself!). Her friendliness and the way that she balances kindness with pushing me to stretch past my fear make workouts with her a pleasure. I recommend her highly with no reservations!" "Kim has been my personal trainer for three years. Prior to starting with Kim, I had never done any strength/resistance training . The improvements I've seen as a result of her workout routines are tremendous. I feel much stronger, healthier, and more toned. Kim is dedicated and extremely knowledgeable, and a pleasure to work with. Kim also introduced me to yoga, and I've been taking her yoga class for about two and a half years. Kim is an excellent teacher. She pays attention to every single detail! I trust her, so I'm confident trying more difficult poses in class. I have recommended her class to several close friends. Like me, they now are addicted! I would highly recommend Kim as both a personal trainer and a yoga teacher!" "I've been taking yoga classes with Kim for over six years now. In addition to relieving stress, Kim's class has done wonders for building my strength and stamina. Practicing yoga provides me with quiet times throughout my week to relax and focus on how I'm feeling, without distraction. Kim also worked with me to customize a strength/resistance training program that I can do at home. She instructed me about what equipment to buy, how to use the space I have, and went through the routine with me to make sure I had a thorough understanding of it. Now I can train at home a couple of times a week without having to travel to a gym. Kim is an excellent and knowledgeable teacher who always provides feedback and encouragement. I highly recommend her yoga classes and personal training services." "I recently celebrated my 50th birthday. Because I've been working out with Kim for the past five years, I was able to approach this milestone far more fit and confident than I ever would have been without her. In fact, because Kim has helped me become so much more "physically focused," I feel younger now than I did five years ago! Kim focuses on an individual's needs and goals, and varies the routines often enough to keep them fresh. She takes into account the whole person, with attention to balance, coordination, strength training, and engaging one's core. When I started working with Kim, we had weekly sessions. With her support, I've developed the confidence (and discipline- a new thing for me!) to work with her once every other week, and work out the rest of the time on my own. She gives good direction and coaching, and manages to (gently) hold me accountable. I feel very lucky to have found this level of expertise and support." "I've been taking yoga classes from Kim twice a week for a year and I benefit from it so much I can't imagine ever stopping. Somehow she manages to emphasize the many different sides to yoga -- from the contemplative healing side, to the physical and mental strengthening side -- thus engaging the students on many levels, definitely keeping us on our toes. After a year of classes, I'm stronger and making progress with the more difficult poses, and I'm consistently learning new things that enhance not only my yoga study, but also my other activities like running and bike riding. Kim has also worked as my personal trainer, and that's been great, too. She got me doing things with strength training -- like working with stability balls -- that were unlike anything I'd done in weight lifting before, and I saw very satisfying improvements. She also made me more aware of form and technique, and taught me things that I carry over into all of my strength-training activities. Kim's very approachable, and fun to interact with. You also figure out very quickly that you can trust her. She believes in what she's doing, knows what she's talking about, and practices what she teaches. It's a great combination. I wholeheartedly recommend her." 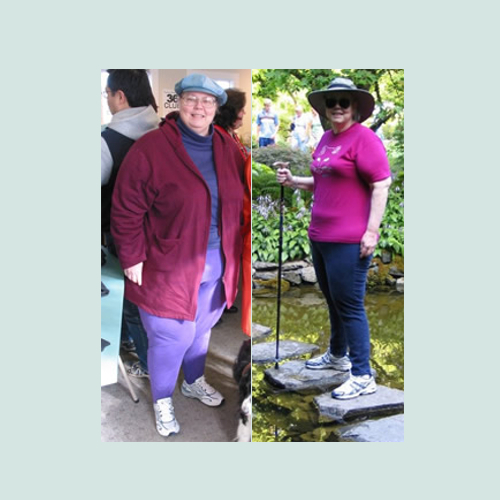 "Over the last year, I've lost 60 pounds - Kim's weight training program has been a big part of my weight loss success (along with better nutrition, walking, and running). I've been working with Kim since August of 1997, during this time she has developed several weight training programs for me. She's always very patient and listens carefully to my input. I've remained injury free since weight training, and Kim has introduced me to yoga which has greatly increased my flexibility. I wholeheartedly recommend Kim to anyone pursuing better health through weight training or yoga." "I've been taking yoga classes from Kim for over a year now. She is an enthusiastic and knowledgeable teacher who enjoys her work and her students. She regularly attends yoga workshops, so we get the benefit of learning lots of the new ideas and techniques that Kim brings back. I've taken other yoga classes, and one of the things that has impressed me most about Kim's classes is how well she integrates beginner and intermediate students within a class---longtime students continue to be challenged, even as first-timers begin learning. I highly recommend Kim as a yoga teacher." "My husband Verlin observed Kim working with her customers, and was very impressed. He contacted her to see if she would be willing to work with me. Many years ago I was diagnosed with Chronic Fatigue. After trying several forms of exercise, I would usually end up exhausted. Now, after my sessions with Kim, I have more energy and I love doing my exercises. Thank you, Verlin, for contacting Kim for me." "Kim has been my trainer for over 20 years; clearly I cannot give her up! Kim has kept ahead of me the entire time we have worked together - whatever sport I've been obsessed with, she has provided appropriate workouts to help me avoid injury and be strong in the "right way" to fit that sport (marathons, ultramarathons, triathlons, cycling, snowboarding, backpacking, and more). Kim listens to my needs and interests and designs programs that keep me engaged - STILL! She's always got something new for me. She is a pleasure to work with; I look forward to another 20 years." "Thank you Kim! After 5 days of very physical sailing at the Tasar World Champs, I am feeling great, strong and up to the task of 5 more races. We are in 6th place with a chance at 5th. Thank you for 2 years of solid training to get me here. Note: They won 5th Place!" "I have Fibromyalgia and I am so thankful for Kim's in-home service for fitness training. I find it difficult as do most people - to continue on an exercise program. I've been able to do so now, with Kim's help, for the past year and a half. She encourages me when I'm having difficulties and congratulates me when I'm doing well. Kim is very easy to work with, and I highly recommend her services."